How do you make your email stand out enough for an editor to open it instead of just hitting delete? 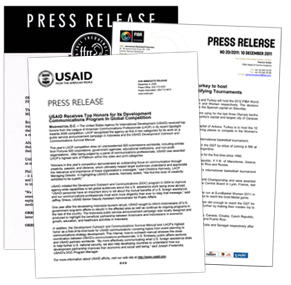 As a publisher, here are my tips for how to make a press release appeal to me. Editors and journalists receive hundreds, probably thousands of emails each week. After the spam has been filtered out and the internal communications have been dealt with, the editor will still have an inbox full of newsletters and other general correspondence. This will all be competing for attention with your press release. 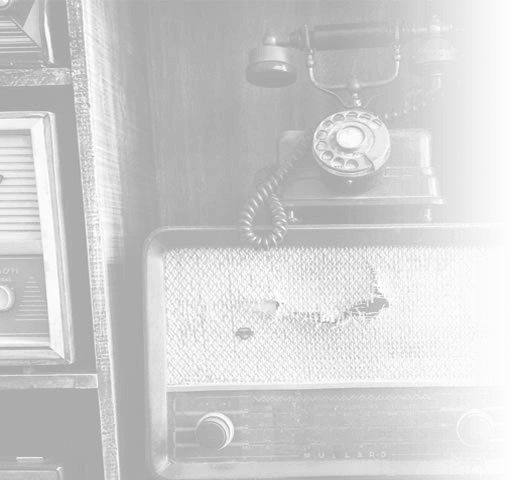 Email is the best way to communicate with journalists, but that’s no guarantee of success. If your email arrives on deadline day or at a time when there is also a massive influx of other emails, you may miss out. Having managed a website for several years, I receive many press releases each day. Being a busy person I delete everything that does not look like it’s worth my time. Perhaps 95% of all press releases I receive do not get opened. I scan the list of subject lines and mass delete everything that does not get past my speed reading filter. If you want to get your story published by a journalist, you have to get your email past this filter. You could call it the ‘I’m too busy for that to be a priority’ filter. In order to demonstrate how I choose what’s worth reading, I have selected some emails randomly from my inbox. The good ones are those that I have not deleted – emails where I felt compelled to at least read the email to see if it was useful. The bad ones are those I quickly deleted, with my reasons for each. 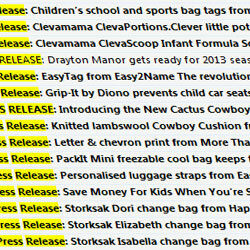 These are the subject lines for press releases I didn’t bother to even open. These titles are closed statements. Simple facts without any invitation to find out more. 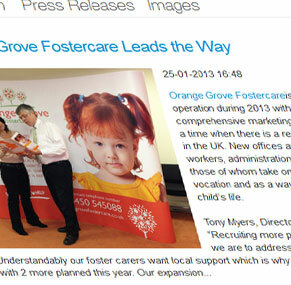 The press release from Orangegrove reads like an advertisement – ‘We’re great’. The second headline feels like an order, not a piece of information. The third one came out at a time when many workers are off sick and there is snow on the ground, but do I really need to get excited about the fact that sick people still make it to work? I already know that. Where’s the story my readers would care about? The fourth press release is poor quality for Drayton Manor, which usually has more inviting stories such as a new meerkat birth or a new ride. Just saying you are ready to open for the season without attaching a hook is uninteresting. French? Really? For an English journalist who writes in English for an English audience? Straight in to Deleted Items. This is like the first bunch – it posts a fact, but this headline does indicate that the press release offers some information. The problem is, it assumes I know what ‘teen machine’ means. It could mean anything and I’m too busy to open the email to find out. That’s nice to know. I know this email will read like an advertisement so I don’t even need to open it. So? What is it? I can’t be bothered to open the email to find out. The title could tell me what the toy is and giving me a juicy fact about it. Subject lines all in capital letters… Grrrr! PR people who do this deserve to have their emails printed out, ripped up and then posted back to them. I WON’T PAY MORE ATTENTION JUST BECAUSE YOU SHOUT. Also, the subject line is too long for my preview screen so the ‘Academy Film Awards’ bit didn’t even get spotted. These are some emails I chose to open. The subject lines told me enough to make me want to read the email. That’s no guarantee that I will do anything with the email once I’ve read it, but opening is the biggest hurdle a PR specialist needs to get through. The main problem with the above subject line is that my email program truncated it at ‘Leg’ but there was enough here to tell me this is a press release about children reading stories to dogs. That’s intriguing and has the makings of a fun story. Red Nose Day means comedy, ‘soggy bottoms’ sounds rude. This one deserves at least a look. Seeing ‘embarrassing’ and ‘health’ in the same sentence suggests there may be something here worth sharing on social media, which would make it an attractive story to run. Of course, to find out I have to read the press release. I would have cut off this title at ‘year’ because it was too long for my preview window anyway. While this is clearly promoting one product, many readers would want to know what the most comfortable bra is so, again, only by reading the press release will I find out. Who would not want to find out more about this? Remember, the subject line doesn’t need to tell the story, it needs to tell the journalist why they should open the email. Keep the subject line reasonably short, putting the key point at the beginning. 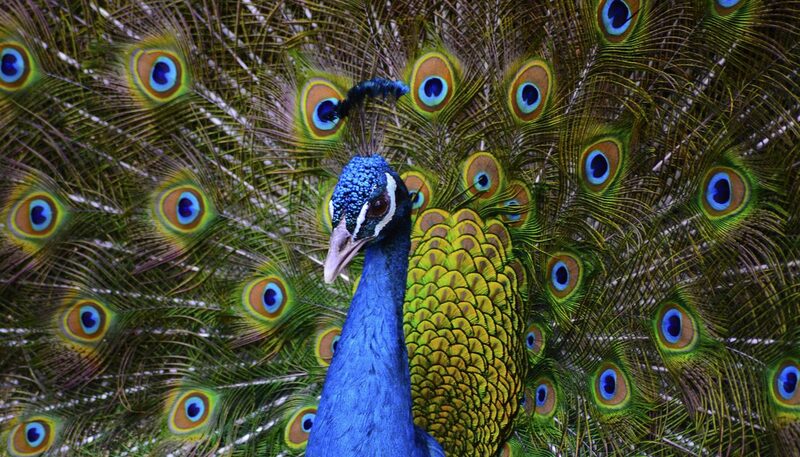 Use trigger words that encourage interest – eg, embarrassing, funniest, sexiest. Follow up the email with another email or phone call. There’s no harm in chasing journalists – they generally ignore things only because they are too busy, not because they hate you. Unless, of course, they do hate you.